Oranmore-Maree produced a rousing second-half comeback to steal the AIB All-Ireland Intermediate Hurling title from under the nose of thirteen-man Charleville, in this afternoon's final in Croke Park. Charleville, with Darragh Fitzgibbon in their ranks after shaking off strained medial ligaments, had taken a six-point lead into half-time thanks in large part to a rake of points from their 2018 All-Star and an Andrew Fogarty goal just before the break. But the Galway side took full advantage of game-changing indiscipline from the Munster champions in the second-half, as first Jack Doyle, and then Jack Meade received their marching orders for tempestuous use of the hurl. 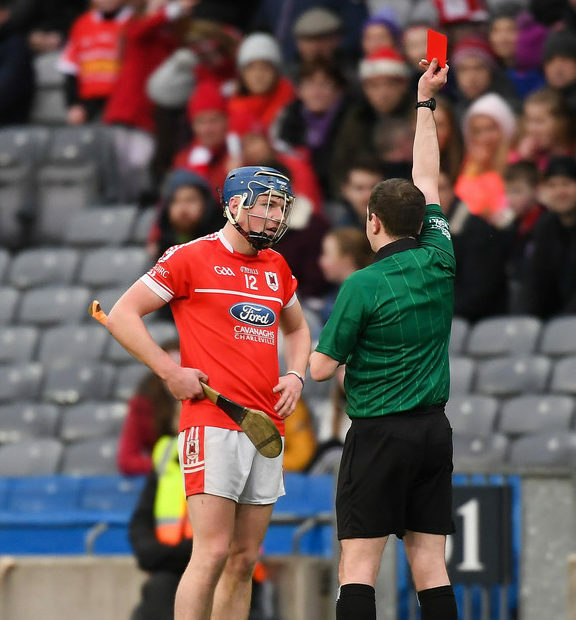 In truth, Oranmore-Maree were already on the comeback trail and had pulled to within four before Doyle saw red ten minutes into the second-half with Niall Burke in inspired form for the Connacht kingpins. The Galway forward struck a sumptuous 1-07 in the second period. The key score of the match was the Galway centre-forward's 55th-minute penalty, which saw his side hit the front only a matter of seconds after Meade had left the field. Burke would also play a part in the game's final play, assisting Sean McInerney's late major, and putting a shine on a 2-17 to 1-15 win. 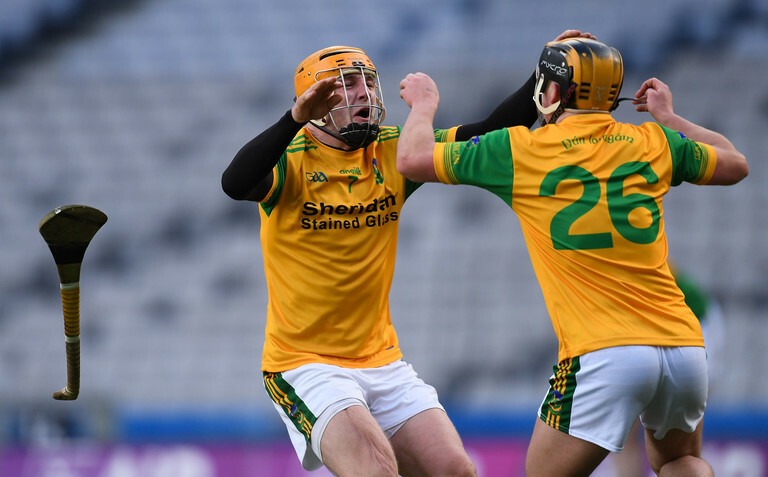 In today's earlier contest, Kilkenny and Leinster champions avoided a seismic shock after reeling in minnow Castleblayney in the AIB All-Ireland Junior Championship final. The Monaghan outfit, priced up at an eye-watering 50/1 with some bookmakers before throw-in, enjoyed a two-point advantage at half-time after Brian McGuigan struck to the back of the net just prior to the interval. But despite the efforts of star forward Fergal Rafter in the second-half, the Ulster underdogs were reeled in and headed in the final quarter as Dunnamaggin began to turn the screw, with Thomas Maher to the fore, clipping over three points in the final five minutes to stifle hopes of a huge upset. The victors eventually winning out on a scoreline of 1-17 to 1-13.